As with many people, I always enjoyed taking pictures of things I found pretty, or of moments I wanted to remember, but I really stumbled into photography in 2014 after my band broke up and I wanted to try a new creative outlet. Initially, I simply picked up my phone and got out there, starting with architecture (Munich has some wonderful old churches). I quickly made the decision to further walk the road of photography, so I got a camera and played around with it. I familiarised myself with Lightroom and Photoshop, two programs that I love to use every day now. It all came very naturally and I was thrilled to learn new things about photography: the craft, the theory, other photographers, basically everything, everyday. So, that is basically how it started. How would you describe your photographic style and how did that style develop? If there were two words that could describe my style, I would like them to be calm and cinematic. I try to keep everything fairly natural now, just making a few adjustments to enhance what’s already in the image and refraining from using too many filters or crazy adjustments. I am still trying my best to develop a signature style that is instantly recognisable. It was a long journey to get to this point though. As with many photographers nowadays, I started out trying to recreate the moody, overly-faded Instagram and Tumblr aesthetic. After that, there came some dubious experiments with color and, somehow, after a lot of introspective, I ended up with this fairly clean and natural style. However, I am sure it will develop further still into something new and I am excited to see where it takes me. As an artist, what is it about mountains and forests that inspires you so much? Honestly, they just bring ease to my mind. We are living in this incredibly, wonderfully technologically advanced and fast-paced world. I absolutely enjoy it and am grateful to live here in Germany but, sometimes, I need to breathe and slow down. Since trees and mountains are not really known for moving at high velocities, you can take all the time you want to take it all in. It is so refreshing to be out there, breathe the humid morning air and look at the clouds passing by slowly. It is a nice feeling and I want to capture it the way I feel it. When I visited Lake Eibsee for the first time, in early 2015. It was a foggy morning, although fairly warm and I was the only person walking there. The whole lake is surrounded by this beautiful pine forest and, in the back, you can see Mount Zugspitze, Germany’s highest mountain. I wandered around taking some pictures here and there. I carelessly looked to my left and saw this perfectly still little pond. Trees to the left and right, the mountain in the back. I sat there for about an hour, being the happiest I had been in months, completely mesmerised by the utter beauty I had stumbled upon. That was the moment that made me realise that I wanted to be out in nature as much as possible and capture those joyful and insightful moments. I am always accompanied by Rosalind, my trusty Nikon D800 and Fridolin, my DJI Mavic Pro drone. Lens wise, I often use the Nikon 24-70mm f/2.8 (the old one, without the stabilizer) but I absolutely adore telephoto lenses. For me, the Nikon 80-400mm VR is the best lens I have ever used, just for its insane range of focal lengths and even more insane compression at 400mm – it is something else. What one piece of kit couldn’t you live without? Aerial photography is something I really came to love in the last year or so and I carry my drone everywhere I go (where I am allowed to fly it, obviously). You are able to capture so many different perspectives and angles, that any location becomes a huge, new playground, all over again. Which locations hold a special place in your heart? Iceland, as a whole, is a country that has made itself a large, comfy place in my heart and It is there to stay. Time and time again, I was greeted by nice people, enjoyed good food and witnessed incredible beauty in nature. Be it the countless waterfalls or the mountain range of Kerlingjarfjöll, or that you have to drive 50km, over gravel roads, to then stand in an area that is literally Mars. The black sand beach in Stokksnes, with the mountains Vestrahorn and Eystrahorn just right next to it, is a sight I will never forget. And the highlands! The highlands are something entirely out of this world. I could talk about Iceland forever. What, for you, makes a great landscape picture where you just have to pick up your camera and capture it? Clear air, nice afternoon light, a mountain range in front of me and a story that is waiting to be told. As an artist, do you favour working on projects or focusing more on individual images? I can really lose myself in editing a single image, for hours on end. But, as a whole, I focus on projects that have an overarching message to them. Writing is another passion of mine, so I try to combine a connected series of images with a compelling story that I feel needs to get out there. In my series, North, I showed images from various trips to Iceland, Switzerland and Bavaria and tied them together through a narrative of a polar expedition gone rogue. It was really great fun and I plan to do more of these kind of projects in the future. What are your preferred post-processing methods? Ninety percent of my post processing is done in Lightroom, since I try to keep it all fairly natural. However, at times I blend multiple exposures together or work on them further in Photoshop, to apply a basic dodge and burn, as well as correcting some perspectives and basic retouching work. I have set myself the goal to be on the road as much as possible. There are still many places that I have not yet laid my eyes on, but desperately want to see. Alaska, the Arctic regions, Russia, Iceland again. I have come to love the cold, more inhospitable regions of our planet, as well as glaciers, so I want to see more of these. There might also be a book in the works as well as planning my first solo exhibition. 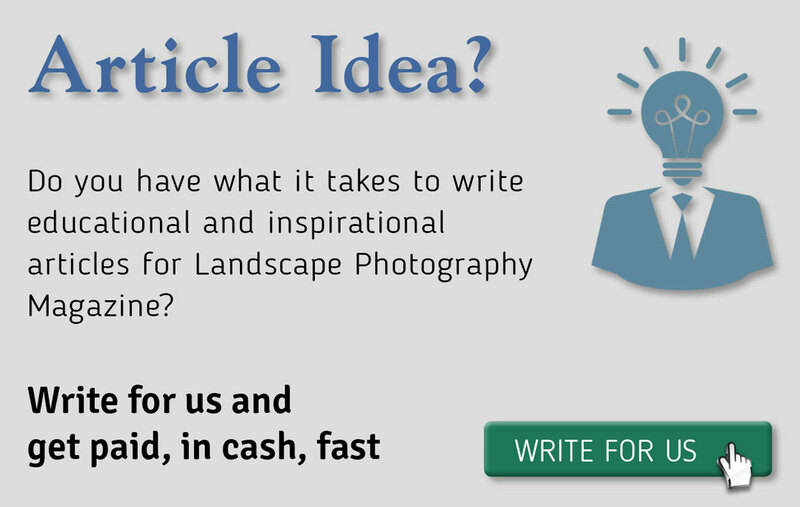 What piece of advice would you give to aspiring photographers wanting to develop into income earning professionals? Honestly, it is the advice for everyone aspiring to make something work: Get good at what you are doing, have a vision, try to step up your game and be ahead of the curve, while still being commercially valuable (in some way at least). It is also vital to get your name out there and on the desks of people who are important. Connect to key personalities, hit up companies with big projects that you took the time to conceptualise properly and, if you feel it is starting to make a difference, keep doing it. It is all hard work but, at some point, it becomes more natural and will reap rewards. It is all the cheesy-sounding things that every motivational trainer tells you to do, basically, because it really does work.